TryMunity holds a variety of events throughout the year to raise awareness about traumatic brain injury. Below is a list of upcoming events that you can be a part of to help us. If you would like to sponsor an event, please contact us so we can reach out to you. 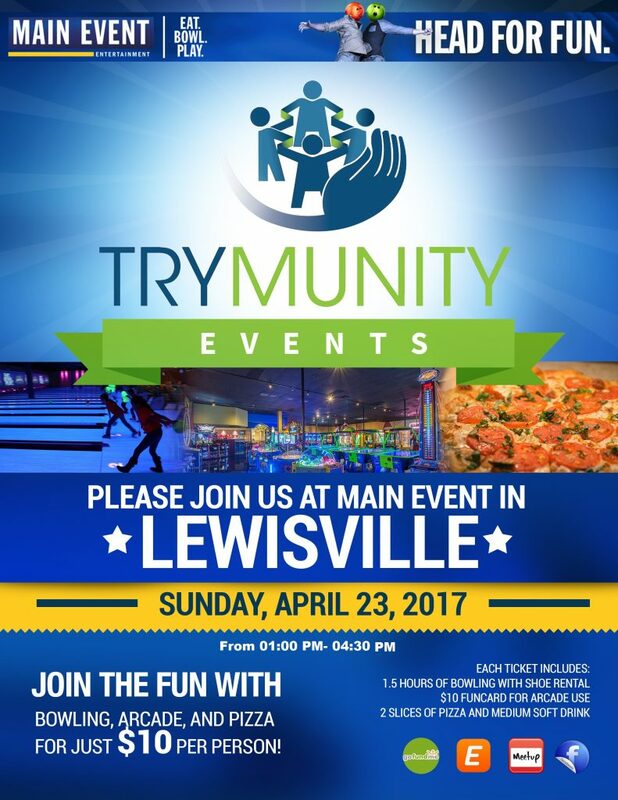 TryMunity’s third official event sponsored by Main Event in Lewisville. Thanks to Main Event in Lewisville, we were able to work on an amazing price for our survivors and supporters within our Traumatic Brain Injury Community! – 2 slices of pizza and a medium soft drink.